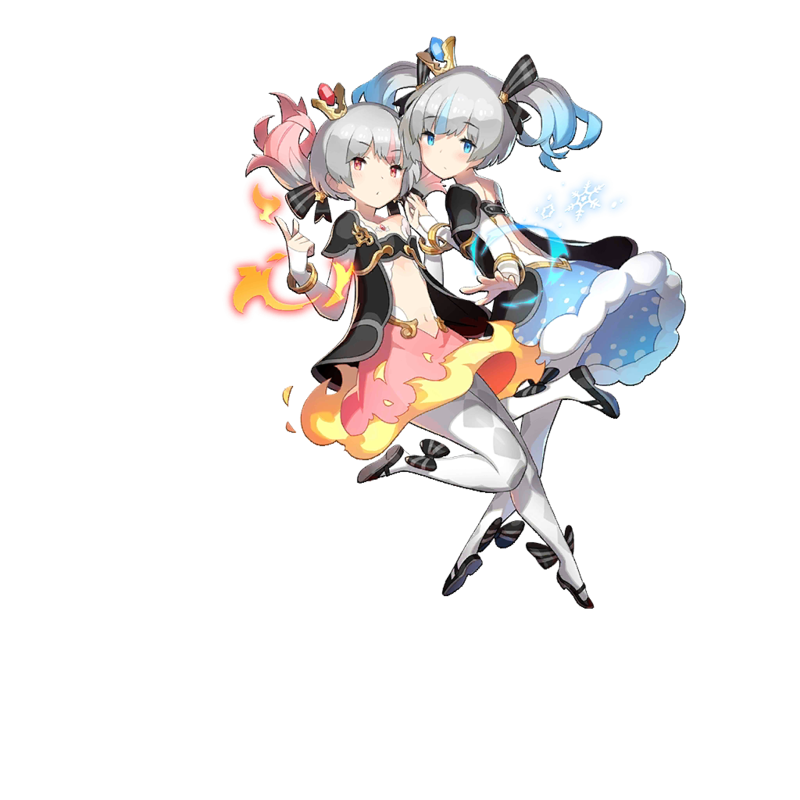 Lolo has power over ice, and Nana has power over fire. Their duty is the preservation of knowledge, but they prefer mischief and games. 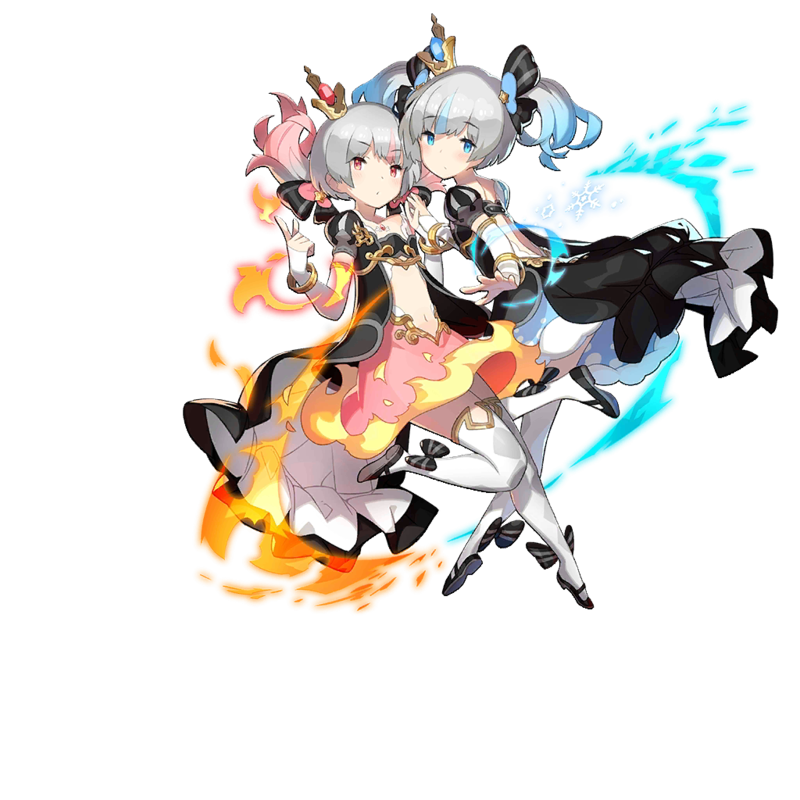 150% Fire/Water MATK damage & Barrier Seal for 1 turn to 1 enemy each with lowest Fire and Water resistance.